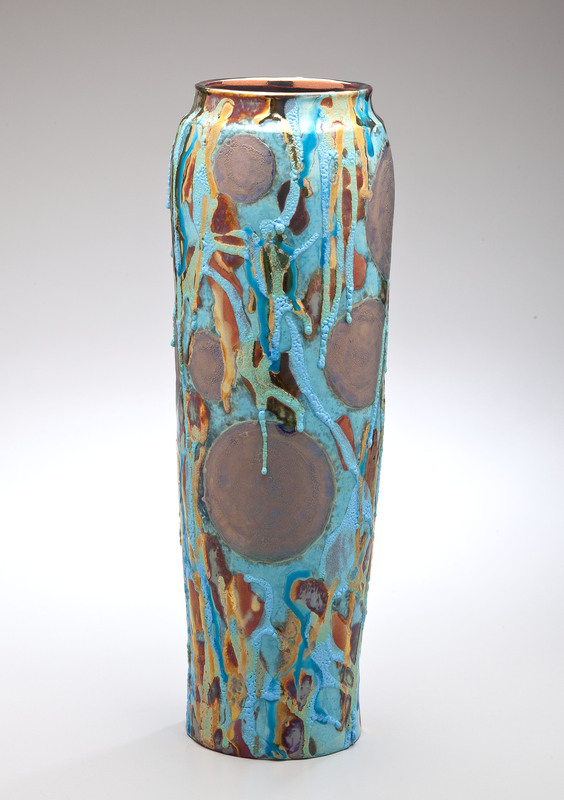 A tall vase in lusterware glazes of blue and bronze by contemporary artist, Paul Katrich. Katrich created this vase in 2005 and titled it "Better Angels of Our Nature". Certificate of Authenticity available upon purchase.